The event is 1920´s theme with prizes for the best costumes and solutions. “Cafe Milhistorias” Calle Segura 20 in Alicante center. 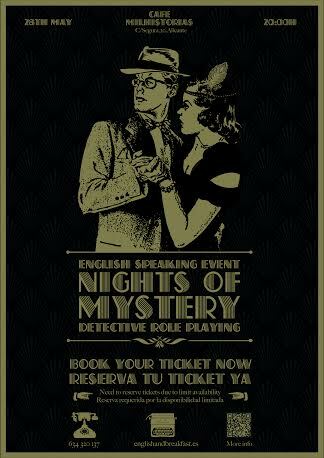 Our Nights of Mystery normally run for around 3 hours and include all materials, buffet of canapes and your first drink. The price is €35 per person with a 10% discount if you book before the 30th of April.